Poet and author Mishka Mojabber Mourani shares the linguistic journey that brought her to her most recent collection, Alone Together (2012), with Aida Yacoub Haddad. She was a short, stocky woman with dyed black hair, and eyes and a heart to match. Her name was Miss Abdelnour. Ironic, because in Arabic it means “servant of the light,” an occupation I do not associate with her. I say in Arabic, which is another irony, since the mature adult that I am now has no trouble ascribing to Miss Abdelnour my struggle with the language. In a few short months, she succeeded in convincing the 10-year-old that I was that I would never learn Arabic properly, in spite of the fact that I was multilingual. We had moved to Beirut from Alexandria, where I had gone to an American school run by the sisters of the Sacred Heart. I was a very good student, top of my class, and my father took great pride in my academic performance. My mother being Greek and my father Lebanese, the only language they had in common was English. They had both gone to the American Mission School and spoke the language almost like natives. They also spoke French, the language of many in the cosmopolitan Egypt of the time. My mother spoke very little Arabic, my father not a word of Greek. There is a lot to be said for the term “mother tongue.” My Greek was fluent, and I was also comfortable in French and Italian, thanks to our many neighbors and friends from different communities. What Arabic I knew was a rudimentary, colloquial Arabic. I could decode Arabic, but my comprehension was limited. We arrived in Beirut on New Year’s day and were enrolled in what was known as the “Americans’ school”- madrasst el amerkan. It was almost the middle of the school year. My unsuspecting parents entrusted the confident 10-year-old that I was into the care of Miss Abdelnour, who taught Arabic, history and geography. It was hard enough being the newcomer in the middle of the year, and not to speak or even understand the local dialect, but I was further subjected to the ordeal of Miss Abdel Nour’s asking me to stand up and recite the history lesson by rote, when all I could do was remember the first nonsensical words “3endama thahab ajdadounal-finiqioun…” I had meticulously transcribed the page phonetically to English, and learnt it by heart, but my teacher’s imperceptible shake of the head, and simultaneous rolling of the eyes in mock despair, quickly wiped out any recollection I had of the gibberish I had so assiduously learnt. Miss Abdelnour further demoralized me when she expressed to my father her disapproval at my transcriptions of Arabic words into English letters, which “ruined the beauty of the Arabic language.” I still feel the anger well up in me at that memory. And then the coup de grace, Miss Abdelnour would beam at my neighbor, a sweet, serious girl called Hutham, and say, “Hutham, show her how it should be done.” The child had no choice but to obey, although I could sense her discomfort. This hell continued for two months. I don’t think Miss Abdelnour knew how much damage she had caused. I was barely promoted at the end of the year. My mother had sensed my distress, although I was determined not to show it. Upon seeing my expression when we received my end of term report card, she promptly took me over to LESG, another girls’ school and enrolled me there. Apprehensive, and my confidence broken, I walked into the grade 4 classroom. I was greeted by a woman who looked remarkably like Miss Abdelnour. The same heavy build, the same dyed black hair, the same big eyes. Her name was Miss Moghabghab. The woman changed my life. Miss Moghabghab’s handwriting was beautiful. She taught us penmanship both in English and in Arabic. Those were the days when each desk had an inkwell, and we were taught to fit a nib on a wooden holder, strike a match, burn the tip of the nib slightly so the ink flows smoothly, and then dip the nib in the dark blue ink. Then we would tap the nib on the edge of the inkwell to get rid of any excess ink, and start writing. Miss Moghabghab also taught us history, geography and civics in Arabic. She soon realized the difficulty I was having with the language. Under the pretext that I had not finished my work when the bell rang, she would ask me to come to class during recess. Invariably there were two or three other girls there, each being given extra attention. Miss Moghabghab would ask me what I hadn’t understood in class and would explain the concepts to me in English. She would give me extra work to do at home, which I did joyfully. I soon learned that I was pretty good at grammar, particularly parsing, and dictation. My grades in qawa3ed and emla2 rose, as I discovered the logic of the language. I still found it easiest to transcribe the poems that we had to learn by heart into English, but instead of castigating me, my new teacher’s eyes twinkled, and she told my father that she found me quite ingenious. It took years for me to learn enough Arabic to be able to read effectively. Miss Moghabghab taught me for two years and introduced me to the novels of Gergi Zaidan, which I read with great pleasure in middle school. After that we emigrated to Australia, so I did not use Arabic again for several years. During that time, I studied French and Italian literature in high school and continued reading modern European literature at Sydney University. My dream was to become an interpreter. Translation was an important skill we had learnt in high school, and I loved to search for words and play with context to attain the right nuance. I also realized that translation helped me better understand works of literature written in French or Italian, adding another dimension to the appreciation of the original text’s rhythms and figurative language. It was in Australia that I understood and accepted my identity, and to what extent it was linked to the languages I speak. I found that there was no contradiction between who I was and the languages that I used in different aspects of my life. I thought in English, read in French, prayed in Arabic and sang in Greek. I needed all those languages and all those cultural identities, I did not need to make a single choice. I returned to Lebanon and joined the American University of Beirut, where I completed degrees in English literature and language. The war in Lebanon did much to improve my Arabic. Spending long hours listening to the radio and reading the newspaper were part of our survival routines, as our days were measured by newsflashes regarding eruptions of violence, kidnapping, or the hundreds of truces that seemed to pepper our days and years. My vocabulary improved and so did my comprehension. I started writing poetry around that time. My poems were all in English, and when I published “Lest We Forget” in 1990, a friend sent me a long letter in Arabic from Greece. The letter translated several of the poems in the book and analyzed them. That friend was Aida Haddad, who had gone to Athens to teach Arabic to the growing number of Lebanese children who sought refuge from the fighting in Lebanon. Aida then moved to Washington DC, where she worked as a translator. We continued to correspond over the years, and when I sent her my book, Balconies: A Mediterranean Memoir, she proceeded to translate much of it to Arabic. I was amazed at how well she captured my words. Her translations were luminous: simple, clear, and unencumbered by the flowery language that so often characterizes Arabic. On a visit to Washington recently, I asked Aida if she wrote, and she admitted that she did. When she sent me samples of her poems, I found myself translating them, the better to understand them. They were beautiful. Her images were potent, her language limpid. And so, “Alone Together” came about. It started by airmail and was completed by email. It came about in English from Lebanon and in Arabic from the US. It spans many years, three continents and two languages. “Alone Together” is about poetry in translation, but above all it is a celebration of resilience and diversity. 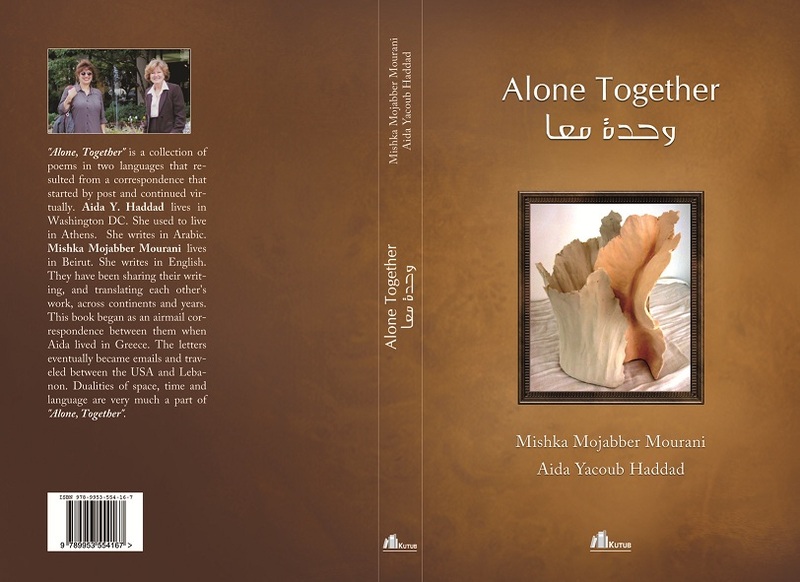 ALONE TOGETHER is co-authored by Mishka Mojabber Mourani and Aida Yacoub Haddad. It is published by Kutub – Beirut, 2012. ISBN: 9789953554167. Mourani is also the author of the memoir BALCONIES, which is distributed by Lebanon’s Dar an-Nahar. This story was truly touching for me since it describes so many experiences I went through myself. If only I had been taught by a Miss Moghabghab! Beautiful post. Does Mishka have a Twitter account? Thank you. It resonated with me, too. Not with my own experiences, but many of my son’s. I don’t think she has a Twitter account. M, you should open one! This is probably going to sound a bit strange/terrifyingly stalker-ish, but I was thinking about your sons yesterday (after reading one of your posts) and how lucky they are to be growing up in a country where Arabic is very much the predominant spoken language, so they should be able to learn it properly, in sha Allah, regardless of the language(s) spoken at home. Although after reading this blog post, I’m not so sure Egypt is like that… is it? Well, everything seems to go quite swimmingly until school begins. Whatever the pedagogy, I firmly believe that being kind matters. Once a child sees himself/herself as a mess at something, it’s hard to undo. So, the ineffective Arabic schoolteacher template isn’t restricted to the UAE? What a surprise. It’s such a shame. I hope it changes for your boys, in sha Allah. The ineffective teacher is universal, but he is rarely remembered. The issue is one of caring. When students perceive that we care, they flourish. An amazing story for an exceptional educator who has always successfully turned challenge into glory. My heart goes to all the children who still have a Mrs. Abdelnour to face everyday to learn Arabic or anything else! The title is striking and poetry for sure, transcends all boundaries of place and time! 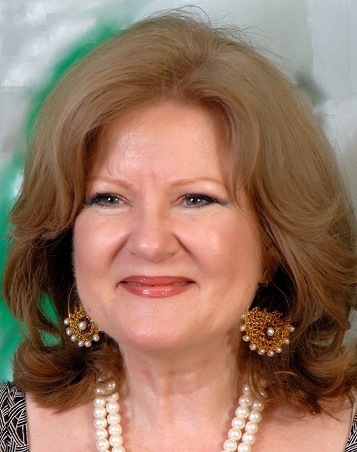 Thank you for your kind words and for all you do to promote Arabic teaching, Evienoula! Thank you, Gail! Coming from a seasoned educator such as you, this is praise indeed! Looking forward to your and Ruth’s feedback about the book. Beautiful Mishka, Brava! I particularly like “I thought in English, read in French, prayed in Arabic and sang in Greek. I needed all those languages and all those cultural identities, I did not need to make a single choice”. Your insights into how we construct our identities, their scope, their dynamics are always so inspiring. You have been an inspiring teacher! Exactly! It is as if fus7a and derej are two additional languages you have to learn! Love it! I always wondered why kids in general “hated” Arabic and still hate Arabic language and enjoyed and still enjoy English or French. Is it because of the Abdelnours? I read with great pleasure this beautiful story! It is showing the essence of what you are, of what you became. These multiple languages add so many flavors to your identity and personality and make you as unique as you are. It is also so important to understand the power teachers hold in their hands: they can destroy or construct and how much more beautiful and interesting is the construction! Food for thought as we just celebrated Teachers’ Day in Lebanon! I read this exciting narrative three times, strongly influenced by the deep emotions embedded within, remembering pictures from my childhood every time I read it. The English language becomes sentimental and musical when you speak it. I always had a strong feeling that you are born to be a writer not only an influential educator. I have just finished giving my third lecture of the day, and thought my afternoon would be like most other afternoons wrapping up the day in my office. When i found your email , you simply nudged me gently as though by the hand and took me far into our past- I smiled at the thought of dear Miss Moghabghab. i remember her well. I remember the ink well, and I remember stuttering whenever i had to recite in Arabic in front of the class. Thank you for the trip. I never thought i would still be finding out new things about your childhood . Thank you for chronicling our lives with such a beautiful narrative. Mishka, it’s so lovely and beautifully written, it transports the reader into your childhood reality and you make it so easy to connect. What a difference can a spoken word or a sentence make… I salute you!!! I am very touched by what I have just read, and yes, like so many others can deeply connect to your experiences with language(s). At a younger age I always felt isolated within those things that made me ‘different’, but Sydney University introduced me to a number of like minded individuals who also thought/felt/read/wrote and lived with-in different languages. And upon my return to Beirut many many years later, I was also lucky enough to meet many others, including you! Congratulations on your new book and thank you for sharing! Thank you for your comments, Roula. Children are so vulnerable when it comes to the need to conform. Helping children assume their differences is one of the most valuable gifts we can give them. What an amazing woman you are, Mishka. A wonderful wife to a wonderful husband, a loving mother of a lovable daughter, a faithful daughter to a sweet mother, a great administrator of a top notch collegiate school, a kind person in a jungle-like society, a tender spirit in a harsh milieu and always- always– a true friend to your friends. My wife and I are fortunate to count you and Paul among our friends. Good luck in everything you do. -A good teacher is like a candle – it consumes itself to light the way for others. ~Mustafa Kemal Atatürk. When you think of it, the teaching/learning relationship has been the subject of literature since Gilgamesh! Thank you for your kind words, Cesar! To some extent already acquainted with your wonderful poetry this article gave me some clues to whom that may have moulded you the way you are (parents and the good, wise pedagogue Miss M.) and what (cosmopolitan upbringing) that may have been crucial for the amazing way you “paint the world”! is a source of delight to me. I strongly recommend it to all lovers of poetry and of the Mediterranean. MIshka, This is lovely. Coming on the heels of reading your memoir, i feel as though you are in my mind once again, telling me how the beauty found in complexity can shape and mold a rich life…for those wise enough to notice and take in experience as you do and mull it over with freshness each time a memory surfaces. You are wise and a painter, whose medium is words. Congratulations on this and on your book. thanks! Coming from you, this is praise indeed.